Many individuals in the society today prefer a tanned skin. So, what do you think you can do if your skin complexion is fair? We look really good if we have a decent even tan rather than a burnt skin which makes us look rough. Such healthy glows do have a positive effect on our confidence. Unlike the decent tan, a skin with a sunburn will just make you conceal your face from the world. Those of us who possess a fair skin need to take additional care to prevent the dreadful, roasted red lobster look. 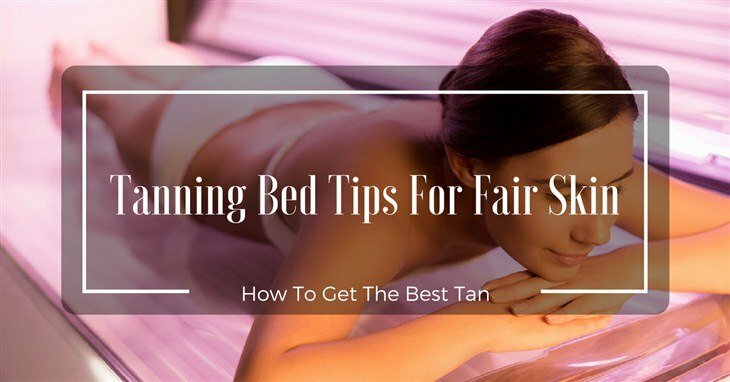 Therefore, in this article, we shall be looking at some interesting tanning bed tips for fair skin, so that you also can have that brilliant tan you’ve always dreamt of. What Does Fair Skin ﻿Mean﻿? What Does Fair Skin Mean? Firstly, it is necessary to know exactly what a fair skin is otherwise known as light skin really meant. Fair skin can be regarded as a skin that doesn’t have any natural darkness or blushed color. Fair skin, commonly known as pale skin, is hard to tan without burning, and once somebody with a fair skin really has accomplished some level of tan, it just peels off after a couple of days, and comes back to its previous fair or pale coloring. Why is this so? The reason most people tan is as a result of the melanin present in their skin. Melanin is of two types. They are: eumelanin and pheomelanin. Someone with more eumelanin secretion than pheomelanin in their body will tend to have a dark skin while someone with more pheomelanin secretion than eumelanin in their body will tend to have a much lighter skin. Tanning beds are a helpful approach to glow your skin all through. They give a predictable outcome, complete protection and controlled level of ultraviolet light. Tanning beds, notwithstanding, are accompanied by their own particular pros and cons. Like any kind of exposure to ultraviolet light, you can also get sunburned through the usage of a tanning bed. It is not advisable to use a bed with similar techniques or items used for open-air tanning. You have to make an arrangement with a tanning salon before you make use of a tanning bed. Anytime make the arrangement, you have to know to what extent you anticipate using the bed. This is an essential choice you have to make. Make sure you round the time down and estimate how long does it takes each part of the body to tan. To ensure that you have the best tan, there are a couple of steps you need to take before stepping foot at the tanning salon. Get a shower and a cleanup a day preceding your arrangement and using an exfoliating body scrub can help to eliminate every dead skin. Drops of dead skin can delay tanning and splotches tend to form on the skin. Endeavor to dry your skin every time and apply moisturizer. It is crucial that you apply profound hydrating moisturizer to your whole body a couple of minutes just after the shower. The best tans dependably happen on a moisturized skin. In case you're hoping to get a nice skin color depending on the cash at hand, you have to use an indoor-tanning moisturizer which has color enhancement feature. This is not similar to sun tanning cream meant for outdoor. When you enter the tanning salon, you'll have to go to your dedicated room, undress and put on your swimsuit. Pack up your hair away from your face and neck. If you are someone with a long hair, secure your hair into a bun at the upper part of your head. Always bring an indoor tanning glasses along with you, or approach the work area chaperon for one. Exposing your eyes to the sun can be harmful to the skin. Never make use of any kind of tanning bed without any eyes protection. The mistake people always make when making use of tanning beds is that they have to lie still. If you lie flat with your arms sideways and your legs straight most of the time result to an uneven tan. You have to move around some to ensure that the tan covers each curve. Change your position at every 30-90 seconds, contingent upon the duration of your session. Lie down with your arms elevated over your head. Once you are through with the tanning process, you have to keep your skin saturated in order to build up the color. One short session of tanning mostly doesn't have recognizable outcomes. It will require a bunch of short tanning sessions to develop the base tan and display a deeper color. One of the fundamental things to recall when doing fair skin tanning is to take it gradually! Your body is naturally a light skin and which can take a dim tan, but you would prefer not to attempt to do it all at once – the result will be a greatly terrible sunburn and possibly a visit to the hospital for treatment. While it might appear somewhat absurd to wear sunblock while attempting to tan, it is essential for somebody with fair skin to do. The essential thing to recall here is not to try too hard – tan each day, only somewhat, straight up until the level where you are starting to get a sunburn. Then if you have started experiencing a sunburn, stop the process and continue the following day. 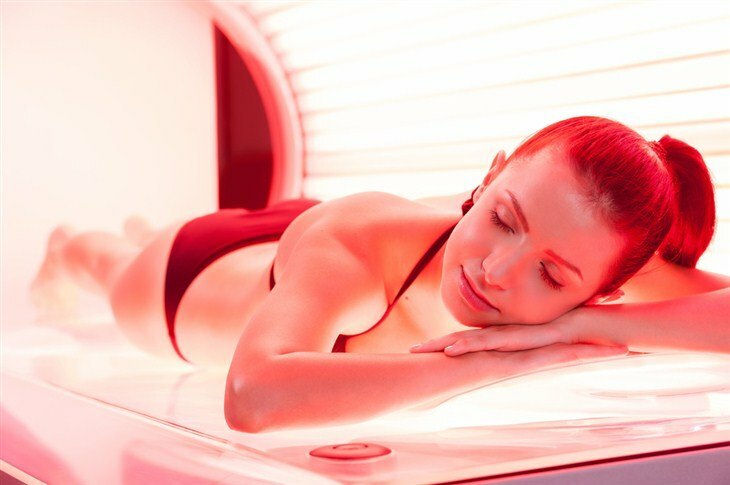 After reading this article, we believe you will be able to properly t﻿﻿an your f﻿﻿air skin. We know being sensible is somewhat exhausting, yet truly your fair skin deserves special attention. Though tanning may take some time, but if you carefully follow the above tanning tips and tricks, you will get a deeply glowing skin. For further thoughts or suggestions, you can leave use a comment below!